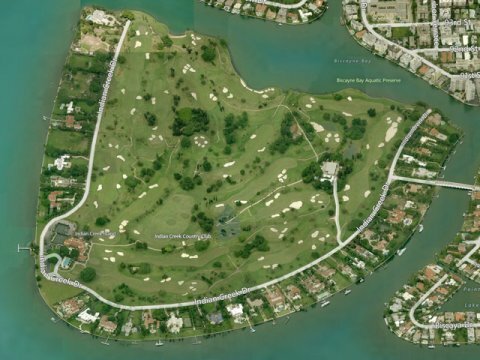 Indian Creek Island on Key Biscayne Bay has only 34 homes and is known as “billionaire bunker.” business tycoon Carl Icahn and supermodel Adriana Lima are neighbors of Julio Iglesias there. Julio also owns 4 lots. So I went online this afternoon to read the latest about Irma pounding Florida when I happened to spot this click-bait headline from Global Mansion magazine. One of Miami’s most expensive listings isn’t a newly built mansion or an exclusive penthouse. It’s 7.3 acres of land on Biscayne Bay. Singer Julio Iglesias, one of the most commercially successful recording artists in the world… is selling four lots on Indian Creek Island for $150 million. The land is on the west side of the island, which is the most desirable, according to agent Jill Hertzberg of the Jills, a Miami Beach-based real estate firm. Indian Creek Island is one of Miami’s most exclusive enclaves, with only 35 properties on the island and a host of notable residents. It has been dubbed the “billionaire bunker” by Forbes, which cites residents including hedge funder Edward Lampert, former Miami Dolphins coach Don Shula, businessman Carl Icahn and supermodel Adriana Lima. Mr. Iglesias, 73, will be keeping his home on the island, which he bought in 2012 for $15.2 million, according to the property’s agents. Here’s the part I found most intriguing about this “billionaire bunker” in light of what’s happening in Miami today. Indian Creek Village is its own municipality, and one of the “most protected, most guarded communities in the U.S.,” said Jill Eber, the other Jill in the brokerage team. It has its own police force patrolling not only the streets, but also the water. The island is accessible by a small bridge, which has a guarded gatehouse. I’m sure Julio and other homeowners in this “most protected, most guarded” little community of Indian Creek are somewhere safe and sound at this time. And I’m sure that irregardless of what damage Irma may do to this Florida safe haven, Julio will still make a handsome return on his investment whenever he sells his four lots at the asking price of almost $38 million per lot. Having more money than God can buy one a lot of security, even if it can’t divert a killer hurricane. The poor will be more more–and many Americans will be joining the ranks of the poor and homeless in the wake of so many disasters in these humbling times. But most Americans don’t get to live in communities that are luxury “bunkers” with beautiful views and 18-hole golf courses and famous neighbors. 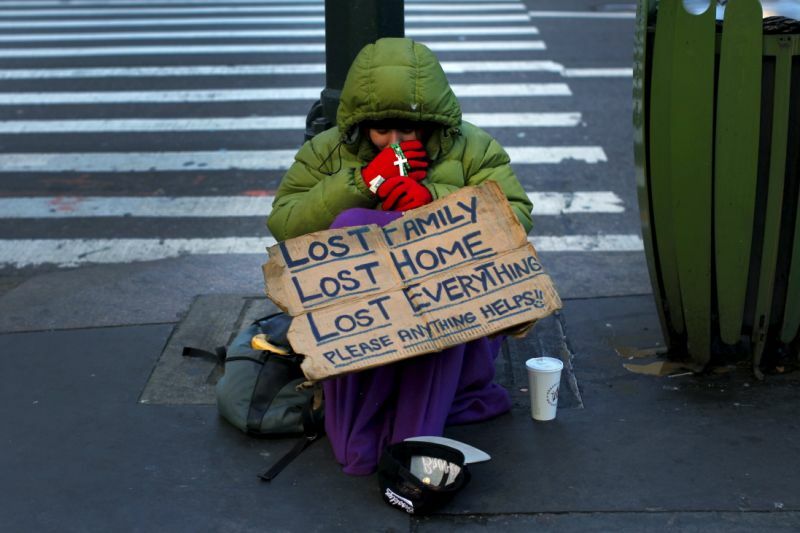 Masses of poor Americans are being rendered more poor these days, and masses of Americans will be joining the ranks of the poor and homeless. These are some terrifying days for sure. Lord be with those on people who are fearful and suffering and especially those who are on fixed incomes and modest incomes and no incomes tonight in Florida and wherever nature is on a terrifying roll in the world.